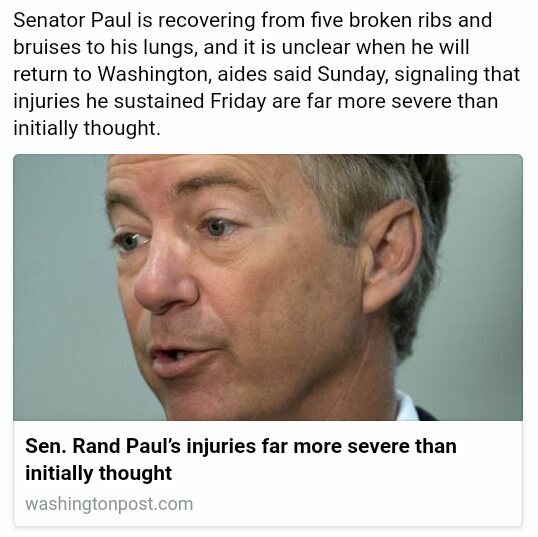 Sen. Rand Paul’s injuries far more severe than we were told! Rand Paul got a serious beat down from his neighbor, an Army veteran who must have been pretty pissed off at Paul. Anyone else following this story? They live in the same gated community and I believe Rand was attacked while mowing his lawn. I wonder if the guy kicked him in the ribs too. Why do you think this happened? Do you think more politicians will get attacked?